Service is one of Sigma Kappa's core values, so our members support many different philanthropic endeavors! In addition to our own philanthropic events, Sigma Kappas often attend and support other Greek organizations' events. During the spring, we host an event that benefits our philanthropies. 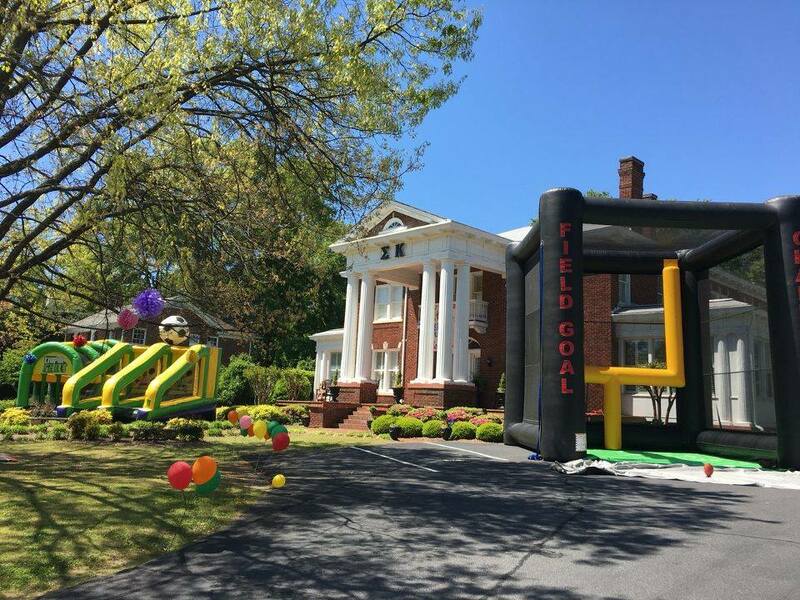 This past April, we had an amazing time hosting our annual Sigma Karnival. The fun-filled day included a petting zoo, inflatable games, a dunk tank, live music, stilt walkers, magicians, face painters, yummy food and more! Hairy Dawg even made an appearance! Check out our philanthropy album to see more pictures. Every fall our members participate in the local Walk to End Alzheimer's. This is a great way to support our cause and connect with the Athens community. Sigma Kappa is consistently one of the top fundraising teams at this event! We loved getting to walk this year for our sisters and their loved ones. Also during the fall, we host our annual Stars and Stripes Dinner to benefit the Ashley Henderson Huff Memorial Scholarship. 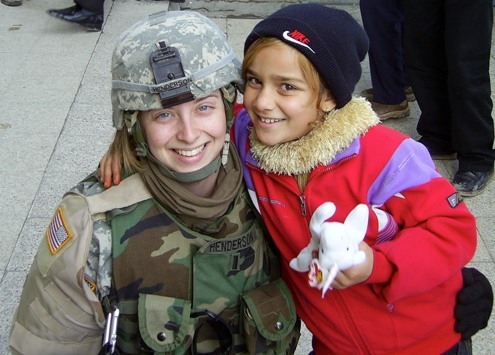 Ashley was a Sigma Kappa at UGA during the early 2000s and enlisted in ROTC soon after the 9/11 attacks. In 2006, Ashley was killed while deployed, making her the first sorority casualty. We host this dinner in order to celebrate Ashley’s life and commemorate her brave sacrifice for our country.